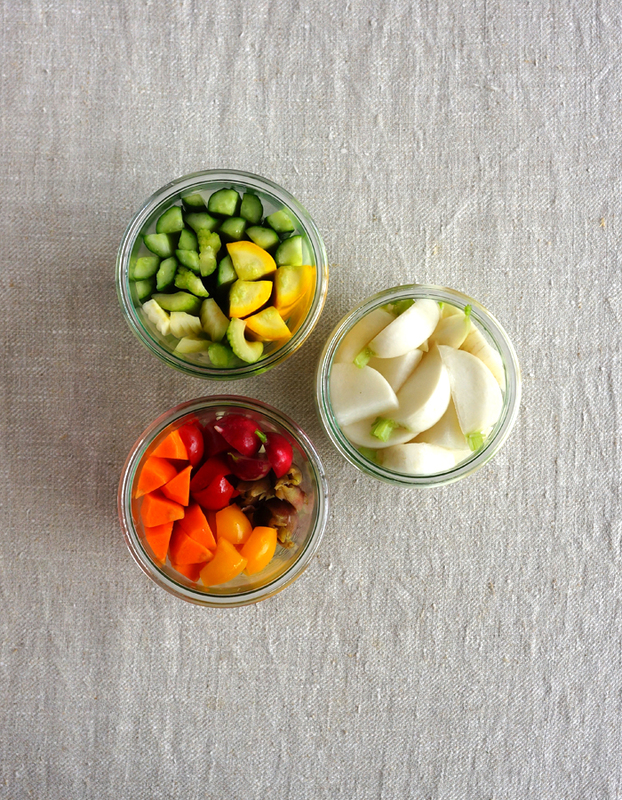 It’s pickling season! 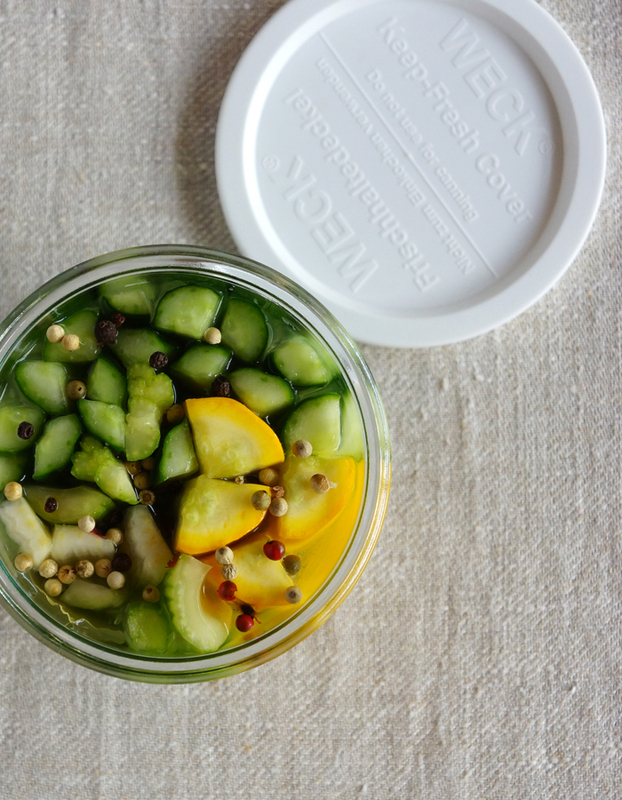 So I made fridge pickles last week. I like fridge ones more than processed ones because they taste fresh and light. 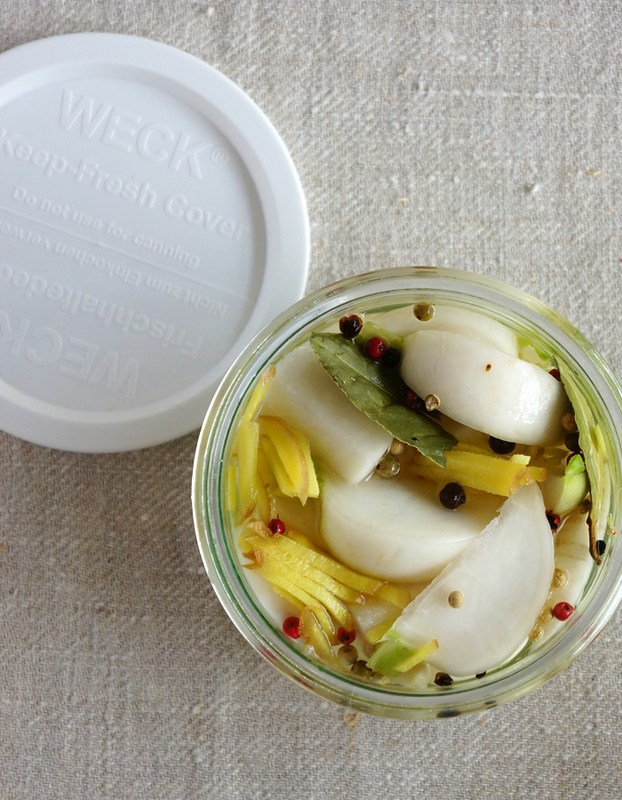 And I really love to stuff Weck jars with pickles. 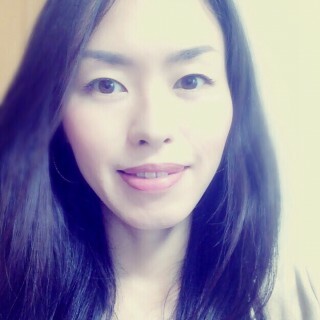 In a saucepan, combine vinegar, water, sugar and salt over medium heat, bring to a boil, stirring frequently until sugar and salt has dissolved. 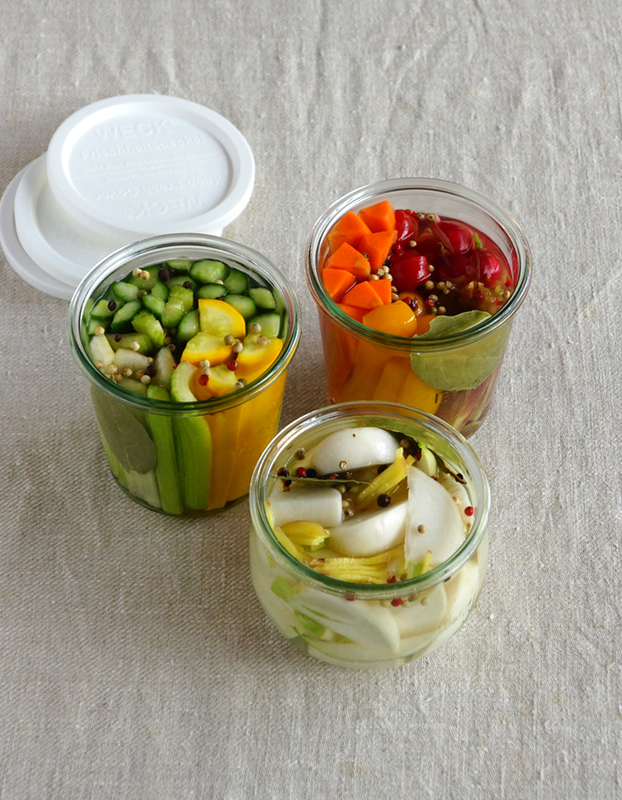 Pack the vegetables tightly into the jars. Add some whole peppercorns, bay leaves and shredded ginger. 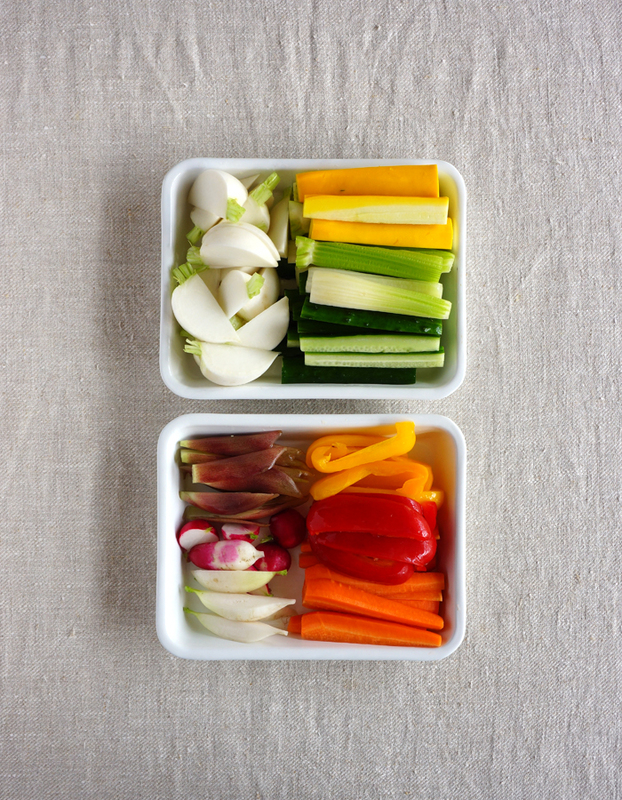 Cut veggies into halves or spears. I chose zucchinis, celery, cucumbers, radish, peppers, carrots, and myoga. Salt them for a while and drain well. 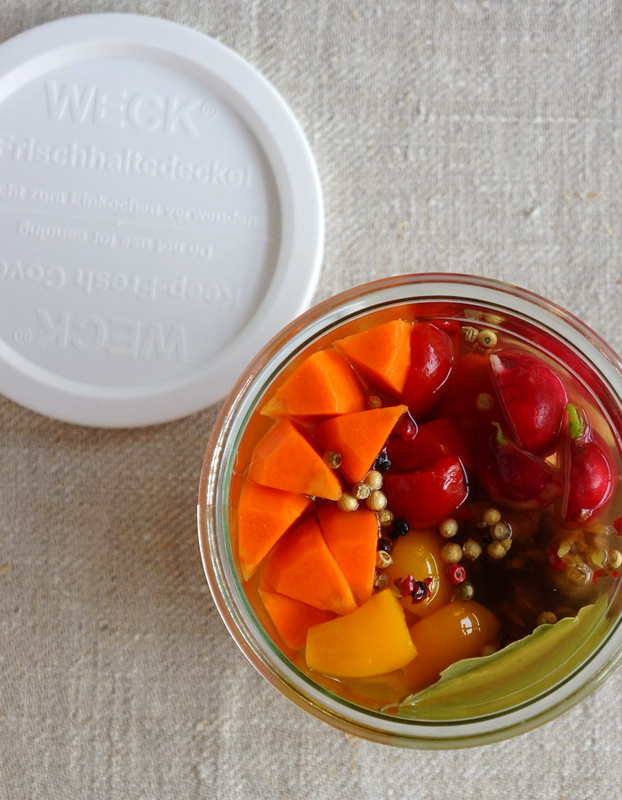 and then pack tightly into the Weck jars. Add some whole peppercorns, bay leaves and shredded ginger. and pour vinegar mixture into the jars. 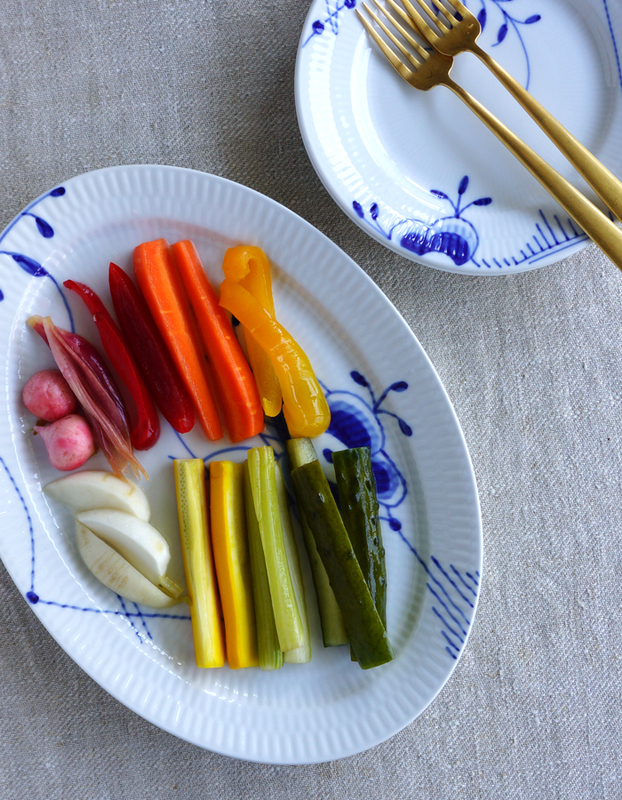 Carrots, red and yellow pepper and myoga. Keep them in the fridge for at least one week for the best flavor.